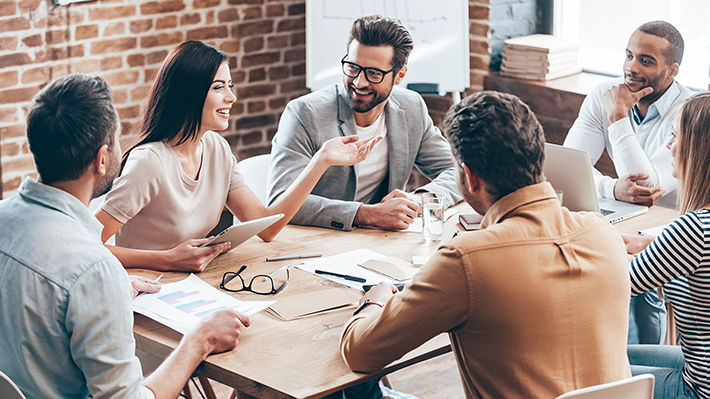 Learn how Account-Based Marketing (ABM) has caused the social selling community to shift their priority from quantity of leads to quality of leads. I was showing a client Sales Navigator the other day, and she was confused by the need to create Accounts before finding and saving her leads on LinkedIn. Although she was a B2B consultant, her background was not B2B sales, and the concept of Key Accounts was alien to her. She is not alone. There are so many of us in the B2B space who either came from a different industry or are entrepreneurial in spirit and therefore are not steeped in an Account Based Marketing (ABM) background. Traditionally, ABM strategy was used only by a few big companies to target a few big accounts. It was (at least initially) choosing the target companies you want to do business with, and then finding the leads within those companies. Due to attrition, the focus on the company and job title was more important (in theory) than the individual relationship. This has changed – but more on that later. When entrepreneurs, sales and marketing professionals embark upon lead generation, after defining their ideal clients (buyer personas), they might do a search on LinkedIn, potentially generating thousands of results. The next step might be connecting to all those individuals, up until the point they hit their connection limits. And then they may or may not follow up with any of those connections. This strategy could result in 30,000 new connections and no new business. Not very effective! Ideally, these professionals would include content marketing in their engagement strategies. This might be as simple as curating articles in daily updates, or taking the next step by writing their own content using LinkedIn Publisher. The result? An increase in daily profile views. But then what? How do they take the step from Content Marketing to Social Selling? The key to social selling is to encourage visibility and form relationships with your target markets. Creating a sense of familiarity (and hopefully trust) with your leads, builds your KLT Factor (know, like and trust). Traditionally social marketing has been focused on numbers numbers numbers. More followers, more likes, more views, more shares. And in some ways, more is better. “More” might mean more visibility, which means more potential business. That being said, what happens when there is no nurturing or follow up with your leads? That’s where AMB strategy comes in. According to Rachel Baylik in her Marketing Land article, creating a Key Accounts list is similar to creating a Buyer Persona for lead generation. When creating a list of target accounts to go after, you need to know the commonalities of your key accounts, what their company needs are and how you can solve them. Once you know your key accounts- find them on LinkedIn by doing a simple Company Search. Once you find your key companies, see who you know at that company. You can even save that search (3 with a free account, 7 with Business Plus premium) and then begin to focus on creating relationships with your key contacts within that company. If you are using Sales Navigator, you can save unlimited Company Accounts. In fact, by giving Sales Nav some metrics, it can even make key account suggestions for you. Once you find your leads, it’s time to start nurturing them. Numbers numbers numbers is NOT the strategy here! With LinkedIn you can tag your first level connections. (Tagging is similar to creating a Facebook or Twitter lists – but without your connections knowing you have tagged them.) This will help you keep track and manage them. In Sales Nav you need only save them (although Tagging and Notes is now a new option as well.) And of course Sales Navigator is “intelligent” and will make suggestions as to good leads as well. 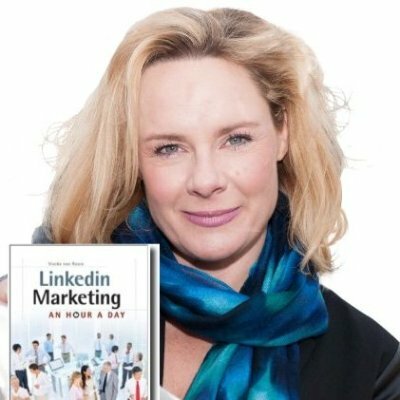 In LinkedIn you must do your own research to qualify leads. Nurturing your leads could mean combining content marketing and direct engagement. By viewing a lead’s current activity in their profile on LinkedIn, you can see the content they are sharing, which might indicate what their interests, likes, needs and points of pain are. Sales Nav will share a timeline of your saved leads with their activity. Including additional metrics. It’s pretty easy to make notes on this activity right in Sales Navigator. Let the information you mine from your lead’s profile inform the content you write and share. Consider sharing relevant content with your leads through Messages or InMail. LinkedIn even allows you to set up reminders to make sure you continue to engage with leads in a consistent way. The difference between successful social sales professionals and everyone else? Keeping track and following up. Who cares if you have 30,000 connections on LinkedIn if you’ve never even had a conversation with one of them? Can you keep track and follow up with 30K people? Not efficiently. Using LinkedIn and Sales Nav to find and qualify your leads means that you can better manage you high quality leads, engage with them consistently and follow up with your interested parties in a strategic way.